Below you'll find a link to a sample blank employment application that you can download, as well as tips for filling out a job application form. 1. Go dressed the make a good impression. You may assume that you don't need to get dressed up just to pick up a job application, but employers make decisions about your suitability at every stage in the hiring process. When you pick up the application, be sure to be neat and tidy, and dress the way you would if you were going to work at that company. That way, you will make a good impression when you pick up your application. 2. Ask politely if you may take the blank employment application with you so you can fill it out at home. It is much better to take the application home and fill it out there than to fill it out on the spot. That way you will be more relaxed and comfortable when you fill out the application. You can take your time and ensure you don't make any errors. 3. However, you must be prepared to fill out the application at the place of business. Some employers will ask you to fill out the application right there. They normally make this request because they want to use your application to check your spelling and grammar, so they want to ensure you are the one who filled it out. Bring your resume with you whenever you go to pick up a job application form. Your resume will help you to answer a lot of the questions on the application. You can also bring a small dictionary (or download a free dictionary app if you have a smart phone) in case you need help spelling anything on your answers. Be sure to read the application all the way through before you start answering questions. This will help you to avoid making mistakes. 4. Offer to give the employer a copy of your resume. 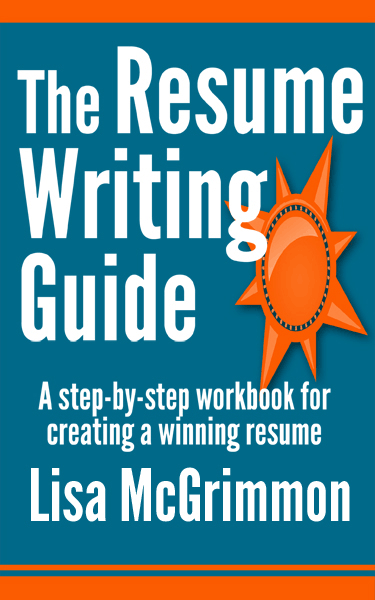 A well written resume will show your skills and experience in the best possible light, a job application may not. Be sure the employer doesn't think you are refusing to follow instructions and fill out the application form. Simply say to the employer something like, "I'd be happy to fill out the application for you. I do have a copy of my resume here if you'd like that as well." Some employers will ask you to fill out their employment application, others will be happy to take your resume, simply follow each employer's preferences. 5. 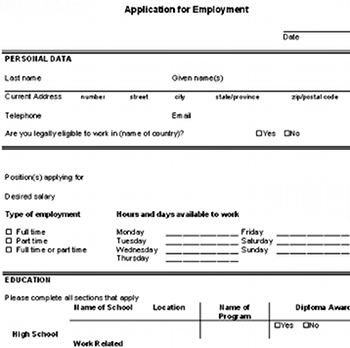 When it is possible to fill out your application at home, make a photocopy of the blank employment application form first. Fill out the photocopy first as a practice run. That way, if you make any mistakes, you will not have ruined the original copy. Once you're comfortable with your answers, fill out the good copy. Here is a sample employment application to download which includes most of the questions you'd typically be asked on an employment application form.